You know those places that just get under your skin and won’t go away? It seems they are a casualty of traveling. An inevitable piece that for some slightly mysterious, almost magic reason that can’t quite be grasped a place just captures you. Maybe there’s a specific moment. 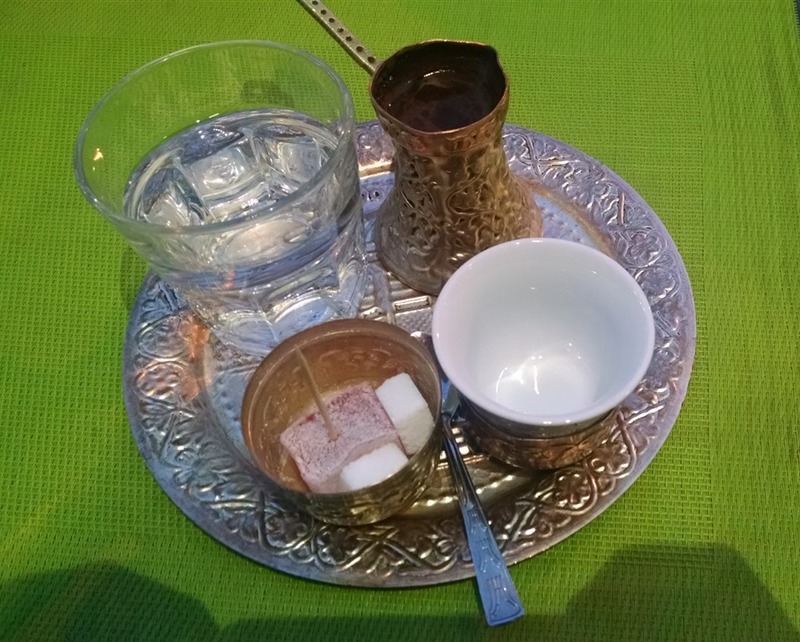 A view over coffee, a connection with another traveler or local or a once in a lifetime experience. Or maybe it’s something far more mundane. A walk through a neighborhood or a bite of an exquisite pastry and your heart is taken in with this place and there’s no going back. I made my first international trek almost 20 years ago. After 2 months, I enjoyed Scotland, but I couldn’t get Ireland out of my head. I knew I’d be back and I have been – twice. Countless trips and countries and adventures later, there have been places I’ve loved, places I would happily never return to and then there’s the handful of places that almost haunt with a subconscious pulse and pull to return, to study, to understand. 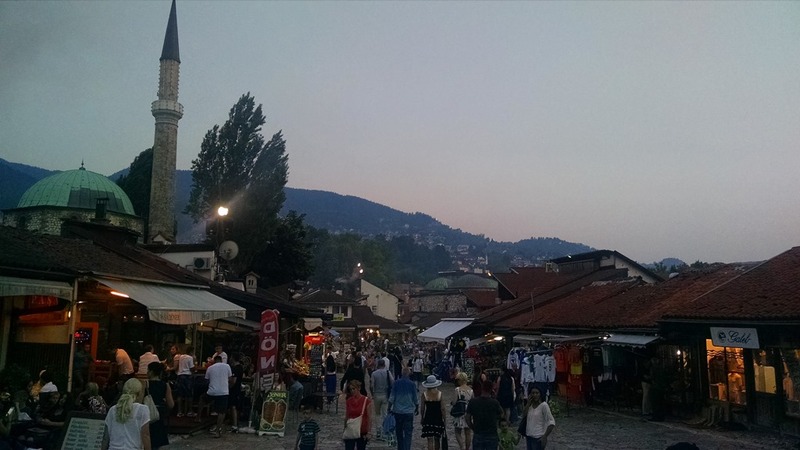 We fit in a 3 day side trip to Sarajevo into our travels this summer. I couldn’t get it out of my head and so we took the challenge of getting there and away and made it happen. Before we arrived I had been consuming books and making connections with friends of friends on a hunt to learn more in between classwork and wrapping up my Master’s defense. 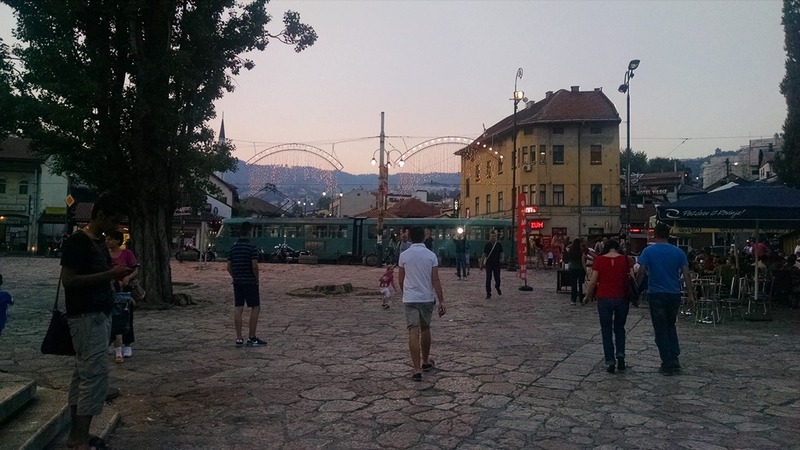 And then somewhere on the first early morning run through the heart of Sarajevo, back and forth over the Drina bridges or maybe over the first cup of Bosnian coffee overlooking this incredibly beautiful and scarred city. Or maybe on the drive down through the mountains from Sarajevo to the Croatian Adriatic coast with our new friend. I can’t actually pinpoint the moment or assign a specific reason, but along with Ireland, India, Sweden… Bosnia stole a piece of me and there’s no getting it back.